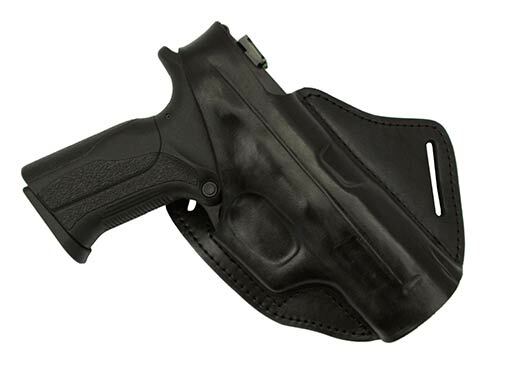 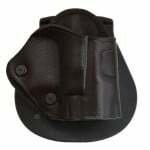 The Cross Draw Leather Holster model 131 is designed for the OWB cross-draw carry. 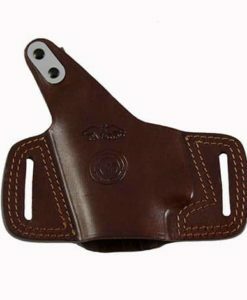 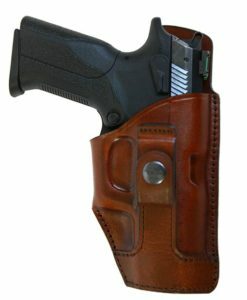 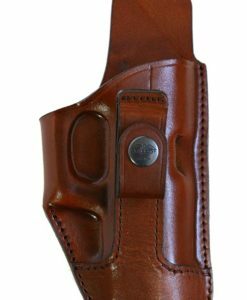 The holster is made of premium quality leather (cowhide) hand molded to fit specific gun make and model. 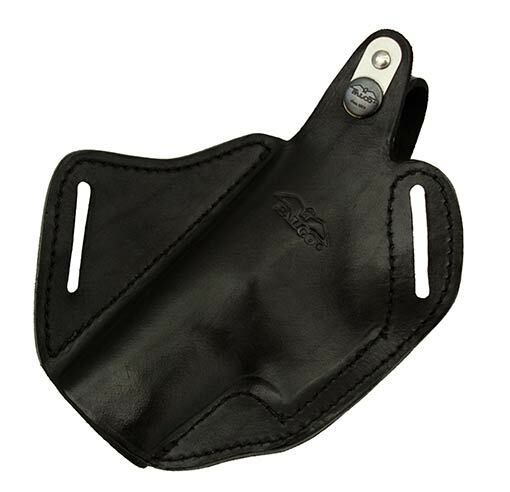 During manufacturing process Falco craftsmen use only the best quality mineral oils, dyes and all other materials. 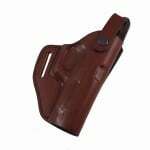 The Cross draw leather holster is secured to the belt by two wide spaced belt slots for perfect stability. 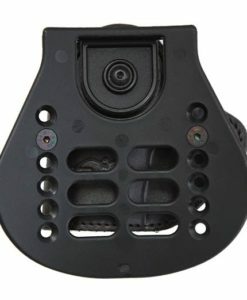 The belt slots will fit standard 1.6″ wide belts. 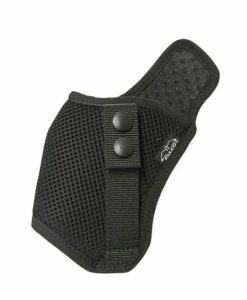 Steel reinforced thumb break provides an additional security for your firearm. 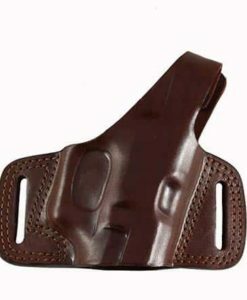 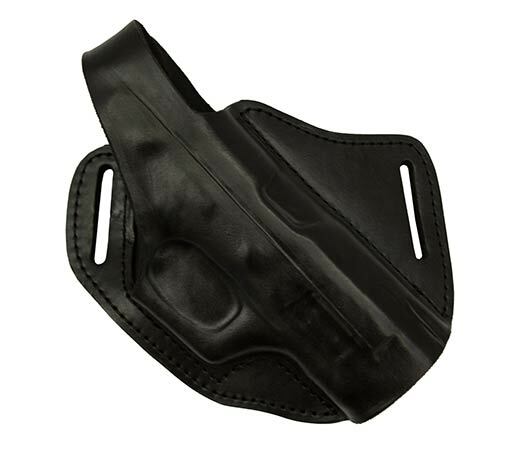 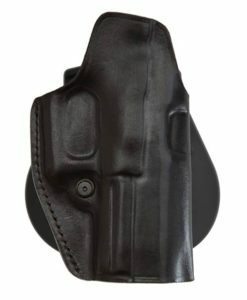 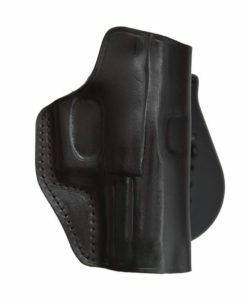 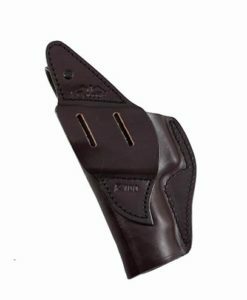 This style of Cross Draw Leather Holster is great for long drives or prolonged periods of seating without creating any discomfort or any problems for the user. 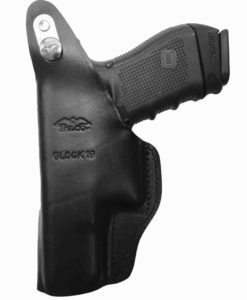 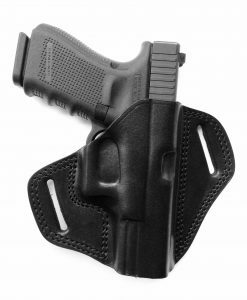 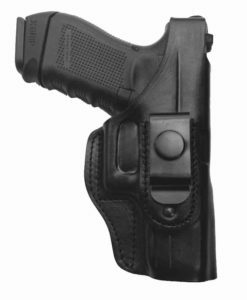 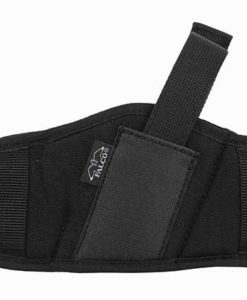 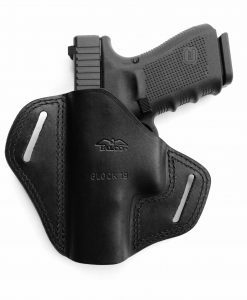 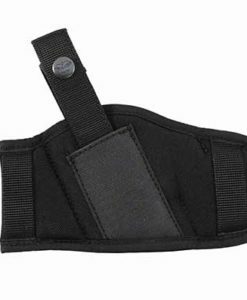 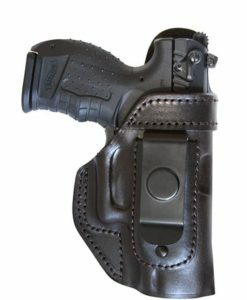 Design geometry of this holster puts gun barrel and gun grip in straight line. 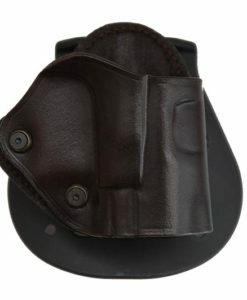 The Cross Draw Leather Holster model 131 is designed as an open muzzle design with entire barrel covered. 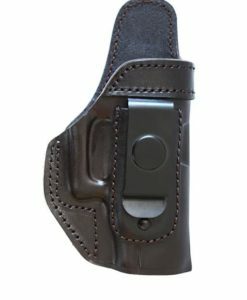 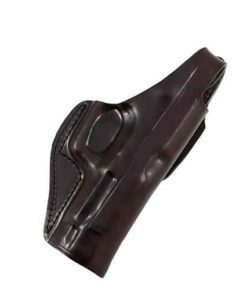 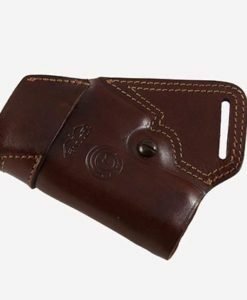 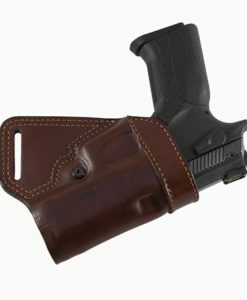 The Cross Draw leather holster can be ordered in Right hand and Left hand configuration and three color options can be selected during check out process – Black, Mahogany or Dark Brown color. 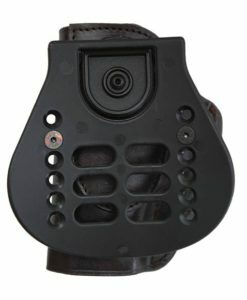 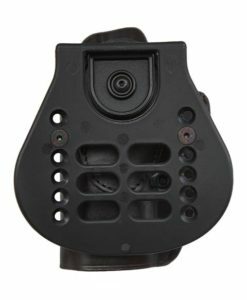 As almost all holsters manufactured by Falco holsters company the holster is covered by 5 Years limited Warranty. 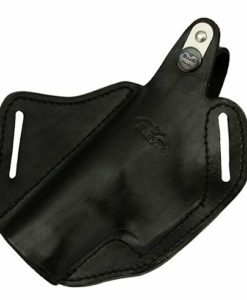 As all leather products are made of natural materials, quality leather holsters may require a break-in period. 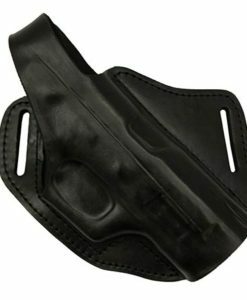 When you do not have experiences with this process contact us. 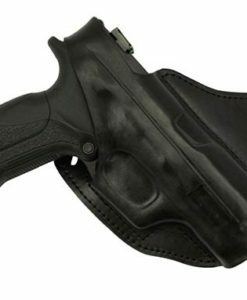 For standard holster care please read manufacturer’s instructions on back side of packaging.